What is the difference between strong and weak scientism? Is Theistic Evolution compatible with the Bible? When is it okay to disagree with experts in a given field? This talk was part of the event "Theistic Evolution: A Scientific, Philosophical, and Theological Critique," hosted by Biola University. If you are interested in hearing more from Moreland on these topics, I recommend his latest book Scientism and Secularism. 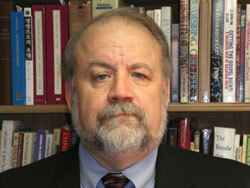 You can learn more about J.P. Moreland here. It was the late Dallas Willard who was fond of saying, "Jesus Christ is the smartest man who ever lived." Have you ever thought of Jesus in this way? If you are a Christian, it is important that you realize that seeing Jesus as intelligent and smart is critical to your discipleship. Why? Simply put, if you don't think your teacher is very bright, you aren't going to learn much from Him. Further, if Jesus is thought of as irrelevant to your intellect, you will not go to Him to learn how to live. And if you don't go to Him to learn how to live, then you are not His disciple. 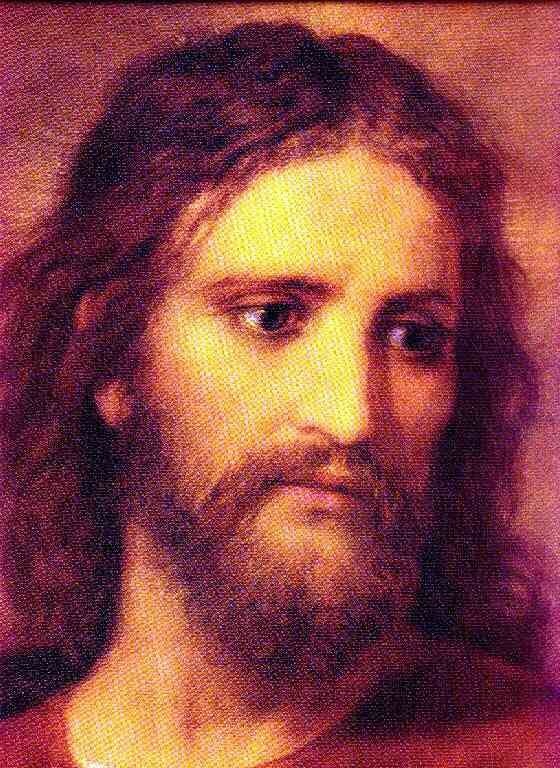 The following are resources that will aid you in viewing Jesus perhaps in a way you have not considered before. When John the Baptist was in prison (Matt.11:2), he sent two of disciples to ask Jesus, "Are you the one who is to come, or shall we look for another?" In other words, "Are you the Messiah?" "Tell John he just needs to believe because I said so." "Tell John that he needs to have more faith." "Shame on John for asking questions." In other words, Jesus was saying, "Tell John to look at the evidence." Is this true of us? When people ask us questions about our Christian convictions are we able to "make a defense" (1 Peter 3:15) or do you simply tell them to have more faith or believe because the Bible says so? Jesus valued evidence; therefore, so should we His followers. Denton’s Children of Light Forthcoming; Join Us at Seattle Book Launch! J. Warner Wallace and Susie Wallace have been training young people in the church setting for over a decade. J. Warner is a cold-case homicide detective who has been featured on Dateline, FOX News, truTV, and other crime-related television shows. A former atheist, he is the author of Cold-Case Christianity, Cold-Case Christianity for Kids, God’s Crime Scene, God’s Crime Scene for Kids, and Forensic Faith. Many young believers want to tell others about their relationship with Jesus but aren’t sure how to begin or can become rattled by questions. In fact, many young believers have their own questions about Christianity and struggle to find answers. Detective J. Warner Wallace helps kids develop good investigative skills, so they can navigate tough questions about faith and share what they’ve learned with others. 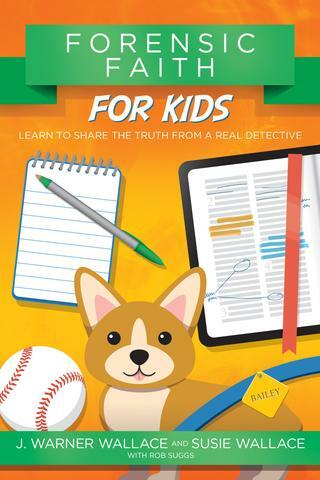 As in their other Case Makers Academy books, J. Warner and Susie Wallace teach kids to think like detectives by reaching into their detective tool bag. While they search for clues to the real owner of a lost puppy, the cadets learn how to be confident in sharing with friends the truth of their faith in Jesus. In this featured article, author, speaker and cold-case homicide detective J. Warner Wallace reports on data he has been collecting for the past 10 years. The data he reports on demonstrates that while, "fewer people claim a Christian affiliation than ever before, and those who claim no religious affiliation are the fastest growing group in America. But while fewer people may belong to Christian churches or communities, Americans will likely retain some form of religious identity, especially if what’s happening in Europe is an indicator of things to come." For more of Wallace's work, go here. In this featured video, John Lennox, Professor of Mathematics at Oxford University & Michael Ruse, Professor of Philosophy at Florida State University, debate science, faith and evidence for God. This debate was featured on Justin Brierley's Unbelievable?. This discussion is part of Unbelievable? 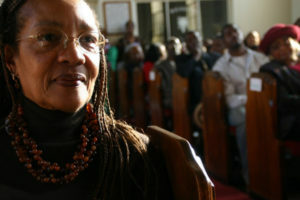 's "Big Conversation" series. The Big Conversation is a unique video series from Unbelievable? featuring world-class thinkers across the Christian and atheist community. Exploring science, faith, philosophy and what it means to be human. 1. Should Christians Be Surprised by Suffering? 2. Does the Bible Always Promise Escape from Suffering? 3. Were 1st Century Christians Delivered Suffering? 4. How Do We Suffer Well? 6. Are Near Death Experiences Possible? 7. Did Jesus Rise from the Dead or we are Delusional? For more from Dr. Habermas, go here. For more from the One Minute Apologist, go here. Faith Christian Fellowship of Williamsport, MD, will be hosting a group study using the curriculum from the book Jesus Among Secular Gods, which is co-authored by Ravi Zacharias and Vince Vitale. The study will begin for men on Monday, September 24th. The women's study will begin on Monday, October 1st. The time for each will be 7:00-8:30 PM. Sessions will be bi-weekly. The study books can be purchased at your local LifeWay Christian bookstore. For additional information, you can email Erin Croteau at ecroteau3@gmail.com. Molinism (a theological position named after 16th century Jesuit theologian Luis de Molina), is an increasingly popular model for reconciling God's sovereignty and providence with human freedom and choice. 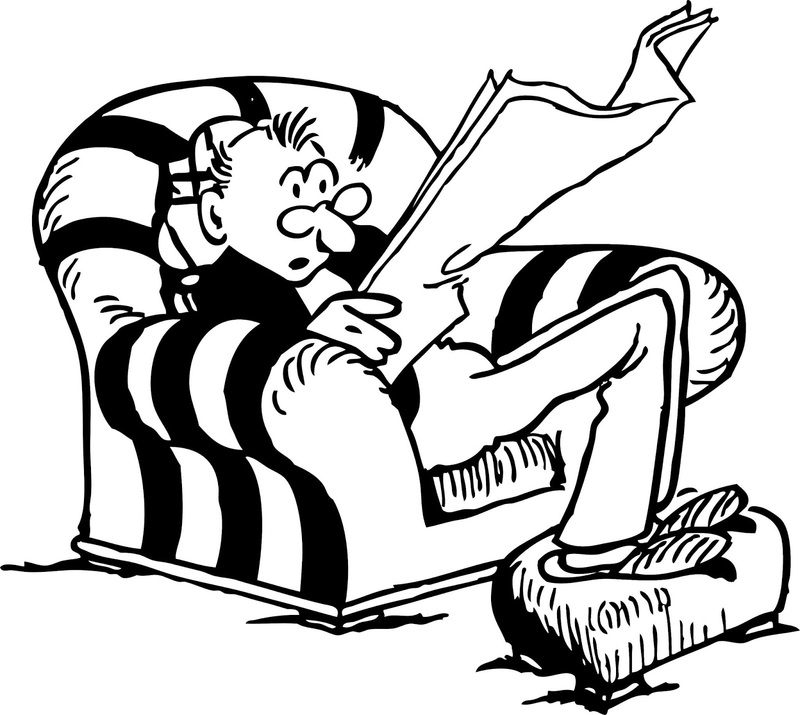 Molinists maintain that God knows what we would do in counter-factual situations (middle knowledge), and that God uses this knowledge to accomplish his goals. In this video, David Wood of Acts 17 Apologetics interviews William Lane Craig about the doctrine. This is a great introduction to Molinism! 1. Text taken from here. As I was reading through an article this evening entitled What is Apologetics? by Kenneth Boa, I found these brief paragraphs helpful in addressing the often asked question, "What is the purpose of apologetics?" Although Boa concedes that not everyone agrees that apologetics involves all four of these functions, I found them helpful in clarifying what one can aim to accomplish using apologetics. "The first function of apologetics may be called vindication or proof, and involves marshaling philosophical arguments as well as scientific and historical evidences for the Christian faith. The goal of this function is to develop a positive case for Christianity as a belief system that should be accepted. Philosophically, this means drawing out the logical implications of the Christian worldview so that they can be clearly seen and contrasted with alternate worldviews. The second function is defense. This function is closest to the NT and early Christian use of the word apologia, defending Christianity against the plethora of attacks made against it in every generation by critics of varying belief systems. This function involves clarifying the Christian position in light of misunderstandings and misrepresentations; answering objections, criticisms, or questions from non-Christians; and in general clearing away intellectual difficulties that nonbelievers claim stand in the way of their coming to faith. The third function is refutation of opposing beliefs. This function focuses on answering the arguments non-Christians give in support of their own beliefs. Most apologists agree that refutation cannot stand alone, since proving a non-Christian religion or philosophy to be false does not prove that Christianity is true. Nevertheless, it is an essential function of apologetics. 1. 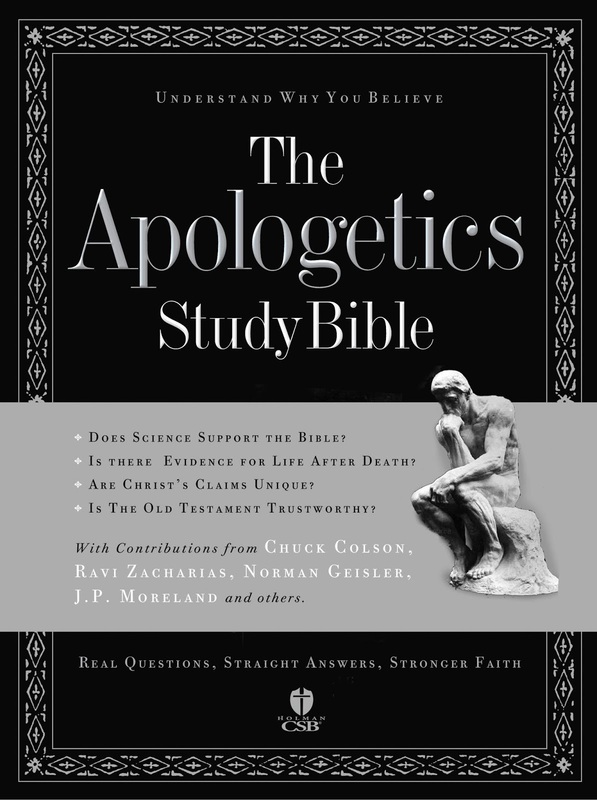 Kenneth D. Boa, What is Apologetics?, The Apologetics Study Bible, p. xxv. 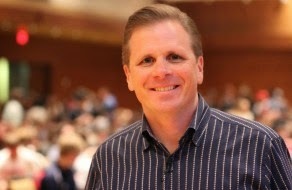 Debate Video: Michael Shermer vs. Frank Turek- What Best Explains Reality- Theism or Atheism? In this featured video, Dr. Michael Shermer and Dr. Frank Turek debate the question, "What Best Explains Reality- Theism or Atheism?" Debate Video: Jeff Lowder vs. Frank Turek- What Better Explains Reality: Naturalism or Theism? Debate Video- Frank Turek vs. Michael Shermer- What Better Explains Morality: God or Science? Has the Bible Been Changed Since It Was Written? John 14:6- Jesus said to him, "I am the way, and the truth, and the life; no one comes to the Father, but through me." Acts 4:11-12- "He is the stone which was rejected by you, the builders, but which became the very cornerstone. And there is salvation is no one else; for here is no other name under heaven that has been given among men, by which we must be saved." Acts 16:30-31- And after he brought them out he said, "Sirs, what must I do to be saved?" And they said, "Believe in the Lord Jesus, and you shall be saved." 1 Timothy 2:5- For there is one God, and one mediator also between God and men, the man Jesus the Messiah. 1 John 2:23- Whoever denies the Son does not have the Father; the one who confesses the Son has the Father also. 1 John 5:11:12- "And the witness is this, that God has given us eternal life and this life is in his Son. He who has the Son has the life; he who does not have the Son of God does not have the life. Luke 10:6- "The one who listens to you listens to me and the one who rejects you rejects me, and he who rejects me rejects the one who sent me." Luke 12:8-9- "And I say to you, everyone who confesses me before men, the Son of Man shall confess him also before the angels of God; but he who denies me before men shall be denied before the angels of God." John 3:18- "He who believes in him is not judged; he who does not believe has been judged already, because he has not believed in the name of the only begotten Son of God." John 3:36- "He who believes has eternal life; but he who does not obey the Son shall not see life, but the wrath of God abides on him." John 8:24- "I said therefore to you, that you shall die in your sins; for unless you believe that I am He, you shall die in your sins." In this age of pluralism and hyper-political correctness the Body of Christ must stand for the truth that Jesus is the only way to salvation. I argue that Jesus is the only way to salvation here. For those who may question the reliability of the Book of John, see here. Finally, if you are looking for a great, concise resource on the exclusivity of Christ, I recommend Greg Koukl's small booklet entitled Jesus the Only Way. Video: Who Did Jesus Think He Was? Although I do not consider myself a Thomist (yet), if anyone could convince me to be one, it would be Ed Feser. In this interview with conservative Ben Shapiro, Feser discusses logical proofs for God's existence, the rise of atheism and why he believes the popularity of religion is on the decline. I would also encourage readers to checkout Dr. Feser book, 5 Proofs for the Existence of God. You can learn more about it here. Feser's blog is also excellent. You can check it out here. 1. Frank Turek, Stealing from God, p. 189. Ian Hutchinson is a plasma physicist and professor of nuclear science and engineering at Massachusetts Institute of Technology. He was born in England, educated at Cambridge University, and received his doctorate from Australian National University. His research group explores the confinement of plasmas hotter than the sun's center, aimed at producing practical energy from nuclear fusion reactions, the energy source of the stars. - What is faith and what is science? Are they compatible? - Are there realities science cannot explain? - Is God's existence a scientific question? - Is the Bible consistent with the modern scientific understanding of the universe? - Are there scientific reasons to believe in God? "Scientific thinker Stephen Jay Gould famously declared science and religion to represent non-overlapping magisteria. Here Ian Hutchinson, a top scientific thinker, insightfully explores the limits of science and faith and where their claims intersect. A valuable yet delightfully readable voice at the intersection of philosophy of science and philosophy of religion, offering scientifically and theologically plausible arguments structured around many of today's important questions." "In this concise volume readers will encounter a remarkable array of topics relating to science, faith, theology, and philosophy that any thinking person should welcome. Hutchinson fields the questions capably and offers thoughtful answers that will provide stimulating insights on these fundamental issues. The book will arm Christians to confront their own deepest questions and those pressed on them by an unbelieving world. It will also provide non-Christians with a sound entryway into the rationale of Christian belief." "The questions Ian Hutchinson has been asked, and which he answers in this book, are the questions I have been asked and attempted to answer. 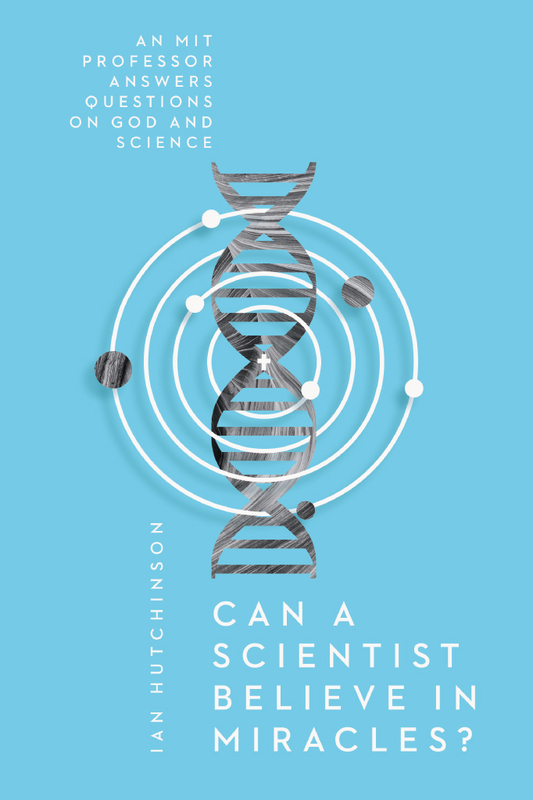 Hutchinson is a scientist and a Christian, and has a pastoral heart for those who have deep and enduring questions about the Bible and science and these questioners don’t want pat and simplistic answers. "Can a Scientist Believe in Miracles?" belongs on the shelf of every pastor, every youth pastor, and anyone who teaches the interface of science and faith. It’s that valuable." To learn more about this work, go here.